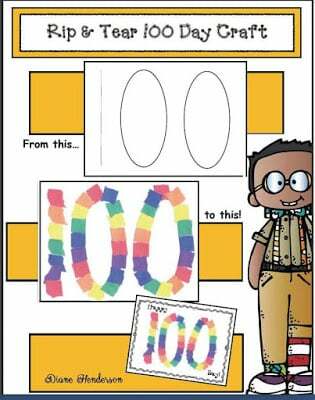 100th day of school activities could include a large classroom celebration, a read aloud book about 100 days of school, student and teacher tshirts (or entire outfits), or just a simple printable to recognize this special day. Being 100 days smarter can be celebrated by all students in every grade from prekindergarten through grade 5 and even above. It honestly depends on when you started school for the year. Those that began in July/early August could be celebrating before January is over. Others who start perhaps after Labor Day might not hit that 100 day mark until later in February. Take a look at your school calendar and start counting the actual days students have been in school for your particular district to get your exact date, keeping in mind that weather-related school closings could also push that official date back. The movie Up is such a sweet film, and I love this take on it to celebrate the 100th day! For the smaller students, this Eric Carle themed t-shirt for the 100th day will brighten their faces for sure! Gumballs are always a hit! The simplicity of this 100 day tshirt design is wonderful. It doesn’t need to be super busy to get the point across. How adorable is this train – with the school’s initials on the locomotive at that? Popping up 100 days has never been more fun on this tee. I see a theme of using pom-pons for the 100 day markers. They are lightweight, soft, and easy to attach to the tshirt. This option is for all the monster truck lovers out there. 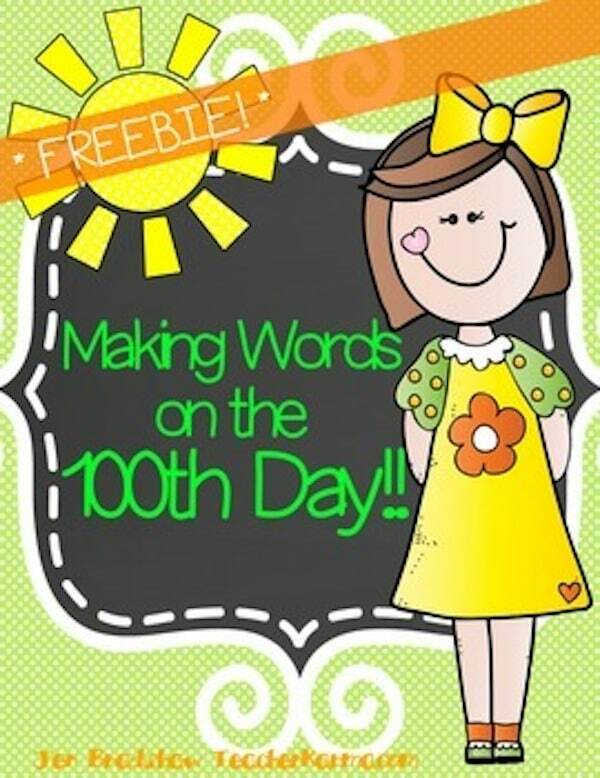 100th Day of School – Making Words FREEBIE! : A fun word game worksheet to start the day. 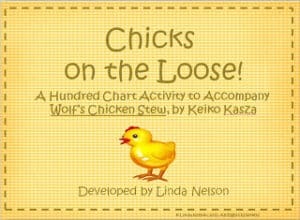 Great for seatwork or for use in collaborative learning pairs. 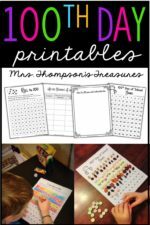 100th Day of School Activities: So many counting games and printables for this special day. 100th Day of School Activities: Centers that focus not only on the number 100 but cover math, literacy, science and social studies. 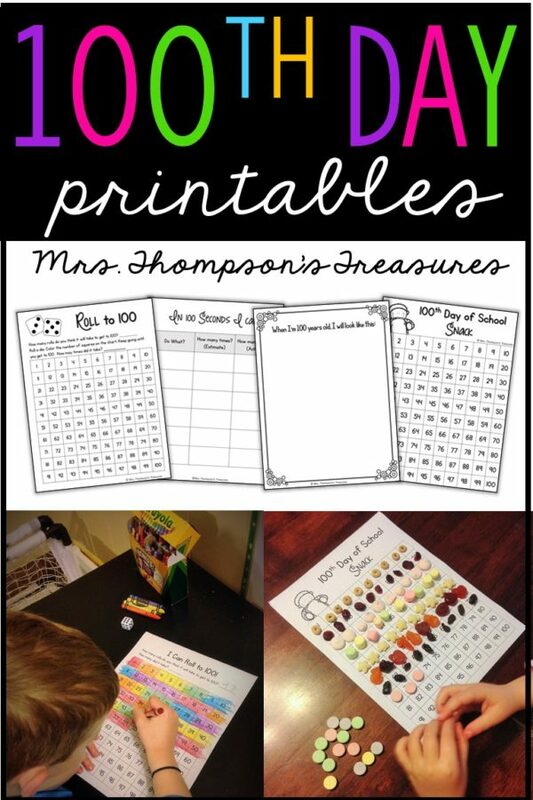 Celebrate 100 Days with This Freebie: Bookmarks, tens puzzles, and more in this packet of learning ideas. 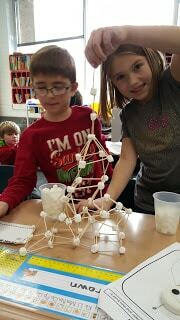 Toothpick and Marshmallow Tower Challenge: STEM resources as alternative to the traditional 100th day activities. 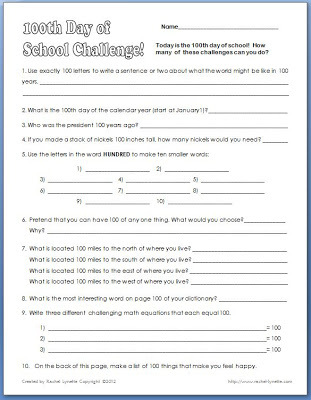 100th Day of School Challenge: Love these challenges that require older students to do a little trivia digging in order to come up with the correct answers! 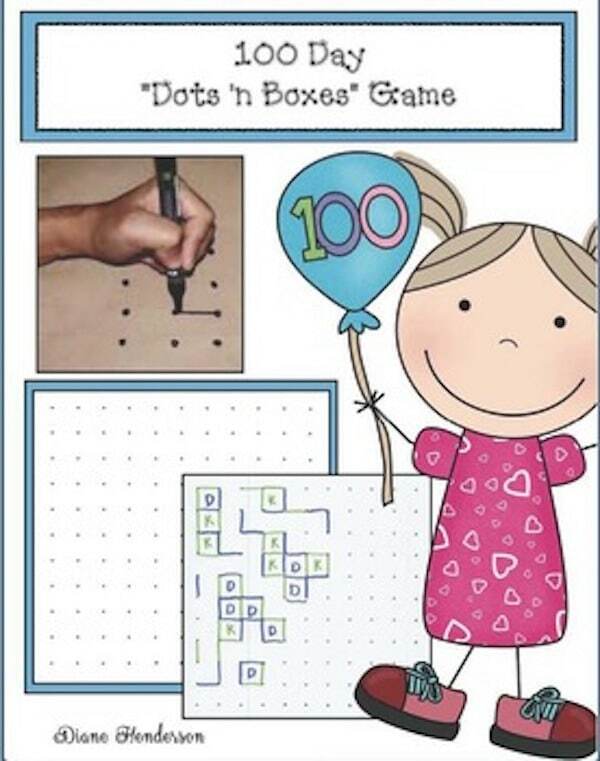 100 Day Partner Game: I love the dots and boxes game! Even better when you can theme it to an important celebration in the school year. 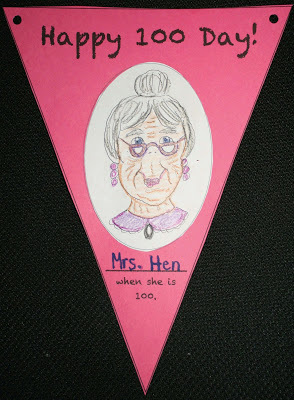 100 Day Craft: This pennant banner is a quick, easy and super-fun craftivity for your 100 Day celebration. 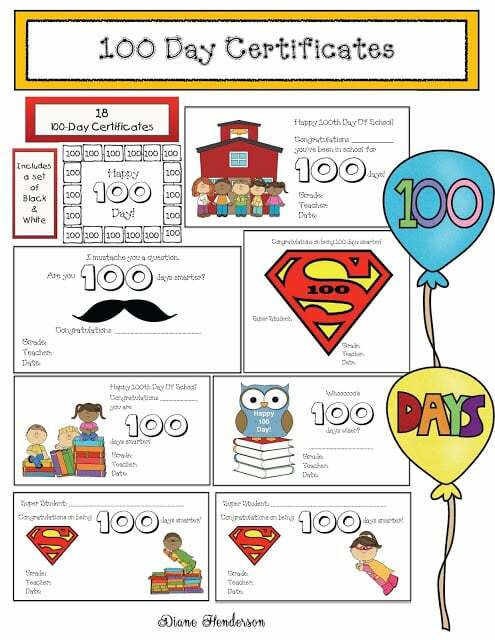 100 Day Certificates: Look at all the cute themes for these 100th Day certificates for your students! Rip & Tear 100 Day Craftivity: Need a fun art project for the day? We’ve got you covered at Classroom Freebies! 100 Day Number Puzzles To Color: No need to worry about color ink being used all up with this printable packet. Instead, let the students do the coloring and then cut up and put back together! 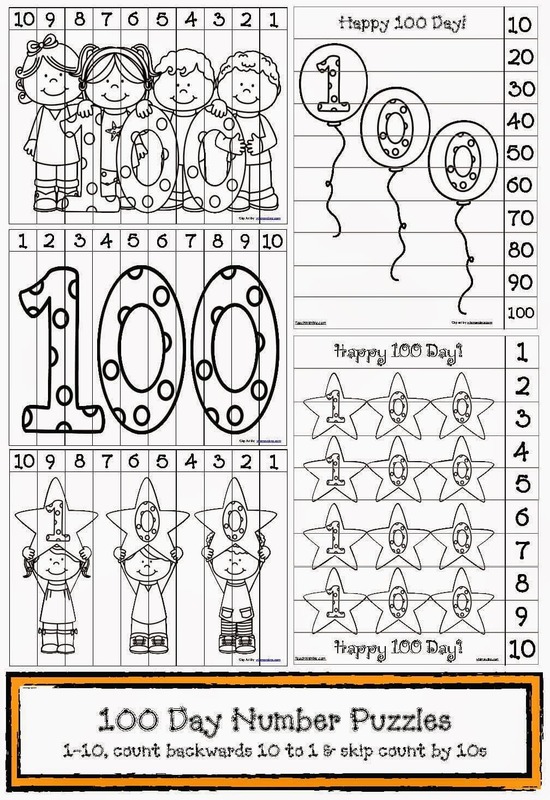 How do you celebrate the 100th day at your school? We would love to hear your ideas in the comments below too!